Pedigree hot tub and swim spa showroom promotion has been intensified after the news that online operation Danz Spas has pulled the plug on its retailing activities and announced that it has ceased trading. Thanks to a high-profile celebrity endorsement and low-budget hot tub options, along with its flagship seven-seater Ultimate Spa priced at £5,399, Danz Spas tasted the sweet success of gaining a considerable share of the online market over the course of a decade. Now, though, the Nottingham-based company has been forced to admit its business is no longer viable after the tide turned during the past year and previously favourable online reviews were overtaken by sour criticism about poor customer service, wrong products being delivered, and hot tub faults not being rectified. Showroom-based hot tub dealerships are now expecting to pick up the pieces after disgruntled new Danz Spas hot tub customers have reported dreadful service and post-sale care from the company that is now advising those that have recently ordered a hot tub by Credit Card, Debit Card, or by PayPal, to contact their card issuer to chase up possible refunds. Despite stating that some orders may be still be fulfilled depending on the stock that is available, those customers who have placed an order and paid for it by ‘Bank Transfer’, are being instructed to lodge a request for a refund with an incoming liquidator. The company, launched in 2006 by Daniel Thomas, has also pledged to launch a non-for-profit website, www.danz-support.co.uk, to provide a limited degree of support to its longest running customers. 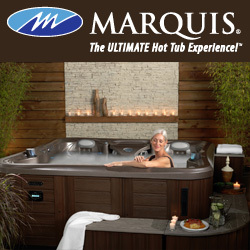 The intention is to highlight details of the parts that the older hot tub use, where these parts can be purchased, common issues, and limited email support. Steve Wright highlighted that there was potentially trouble ahead when he wrote in his Google Review: ‘Not the best firm to deal with. Firstly the spa I received was not what I ordered as they decided to change the spec between me ordering and it being built. Secondly they seem to have an inability to call customers back…the customer service once they have your money is not the best I have experienced. PS notice how the other reviewers did not leave a name, this is classic of false reviews’. In another Google Review Wendy Amato also scathingly posted the warning prospective Danz Spas customers: ‘Do not order from this company, very bad customer after care. Nobody replies to our emails or telephone calls’. Philip Wood from Worcester provides a similar scenario of discontent and highlighted impending legal action in his review on Free Index by declaring: ‘The company will not return emails or calls. I shall be taking them to court. Disgraceful customer service’. On the Review Centre site Hayley Schmitt wrote on May 10 this year: ‘We brought (sic) a hot tub less than a year ago (even ordering was a nightmare I should of realized then). We are having a nightmare with Danz. We have major problems with our £4,000 hot tub and have contacted Danz two weeks ago and they will not call us and just ignore calls and emails. They are impossible to get hold of. They use China shells and the quality is rubbish. The MD seems to be the sales guy, after sales, infact everything. DO NOT GET CAUGHT OUT WITH THIS COMPANY’. It is in contrast to a review by William Wilson from Uckfield who wrote in September 2013: ‘After extensive research and being told by hot tub retailers stationed at garden centres etc that buying hot tubs from the internet was not a good idea as they were not as good as there’s (sic) well it turned out that’s not true no difference except Danz were so much cheaper we decided to take a chance and buy from the internet Danz Spas came up best for us and we were delighted at the price’. Danz Spas, which had proclaimed itself to be the UK’s leading online supplier of high-quality hot tubs, had singer Sophie Ellis Bextor as one of its celebrity customers featured on its website that enticed growing numbers of customers to make online purchases. The company initially had no traditional ‘bricks and mortar’ showroom when it was first established by Managing Director Daniel Thomas in 2006. Having commenced operational activities from his bedroom when he was 18-years-old, Daniel gradually increased his online presence and customer base and in 2013 moved into new premises in Nottingham. Low-cost models including the two-seater Tiny, seven-seater Niagara, six-seater Atlantic 2, five-seater Rhine, six-seater Sunset 3, and six-seater Volta Spa, were promoted alongside the seven-seater Ultimate Plus Spa at £6,999 to attract prospective customers who were seeking online deals. With a mission of ‘trying to get a hot tub into every home in the UK’, Dan declared: “I believe the key to our success is that we’ve changed the way luxury goods like hot tubs are sold in the UK. A statement from the company on the ‘FUTURE OF DANZ SPAS’, though, has now revealed the dramatic change in fortunes and reported that: ‘Unfortunately, Danz Spas have taken the difficult decision to cease trading after 10 years in the hot tub business. ‘Towards the end of last year we had a number of difficulties and realized things were not going as well as we had hoped. We decided to restructure our business: we let go 60% of our workforce, and brought on board an investor. ‘We thought we were on the right track. Recently, things have taken a turn for the worst and unfortunately, our business is no longer sustainable. Legally, we must now cease trading…Unfortunately, as the business has ceased trading, it no longer has any employees that will be able to assist directly with after sale support. ‘If you have an existing hot tub, your warranty was with Danz Spas. As the business has now ceased trading, sadly, this warranty is no longer valid…In the longer term, it is our intention to launch a non-for-profit website (www.danz-support.co.uk) to provide a limited degree of support to older customers. We intend to include details on the parts your hot tub uses, where these parts can be purchased, common issues, and limited email support’. The news of the demise of Danz Spas has spread throughout the wet leisure industry and is now being used by established showroom dealers to illustrate the dangers of trying to gain a cheap hot tub alternative rather than purchasing a pedigree hot tub or swim spa from a professional dealer at an established showroom retailing business, which is advocated by WhatSpa? and WhatSwimSpa? Showroom dealers are now helping to highlight this issue and inform consumers about the dangers of purchasing hot tubs from ‘web shops’. Over the years Huw Chivers of Hot Tub Barn, who is celebrating his 20th anniversary in the industry, has been instrumental in raising the profile of HotSpring in the British market and has become well known throughout the industry. He has also been featured regularly in WhatSpa? and also in WhatSwimSpa? in an effort to advocate the showroom route to successful hot tub and swim spa purchasing. As part of this campaign he has created infamous footage that has become a visual warning to make consumers aware of the perils of purchasing wet leisure products from online ‘web shops’. Huw has posted a horror story online on YouTube to highlight the case of a new owner who discovered that they had fallen foul of a useless online purchase that had to be cut up and carried through the house because the insurance company would not authorise a crane to lift it over. In the latest edition of WhatSwimSpa? , which has bestowed a hat-trick of Best Buy Awards to the Riptide Pools Oceana, Riptide Pools Poseidon and Riptide Pools Manta Super Pro, Huw is among a number of leading showroom specialists featured in the Net Perils section that are highlighting the dangers of purchasing hot tubs or swim spas online; following the demise of online hot tub retailing outfit Danz Spas that has left new customers having to seek refunds from their credit card suppliers. “It has been fun and certainly a roller coaster ride during the past 20 years,” said Huw. “I believe, though, that the fact that we’ve kept with the same market-leading brand of hot tubs all these years has been a big factor in our success. Among the additional pedigree dealers to provide warnings are Deep End Pools who have an expanding award-winning chain of Just Hot Tubs stores across the South West, including sites in Berkshire, Buckinghamshire, Cornwall and Exeter that have the 2016 WhatSpa? Best Buy Award-winning seven-seater Just Hot Tubs Empire model in their extensive hot tub choice to prospective customers. Business partners Rob Coombs and Paul Woodhead have a been busy promoting the opening in May of their flagship showroom in Exeter to service demand in the Devon, Dorset and Somerset areas as part of their aim to combat the often poor quality products being supplied by web shops and the negligent customer service that is being provided by online dealers such as Danz Spas with a pedigree showroom alternative for their customers. The dynamic duo are currently ramping up promotion of their dedicated wet leisure stores that have been dubbed ‘the number one destination in the south of England’, which have been added to their established and respected portfolio in the indoor and outdoor swimming pool market, and are advocating the dealer showroom route in the ‘Net Perils’ features in the latest editions of WhatSpa? and WhatSwimSpa? magazines. “Despite all the negative press about poor quality electrical components entering the UK market, even via trusted online platforms, consumers are still falling victim to online sellers of cheap and poorly manufactured swim spas and hot tubs, like we have seen with Danz Spas, cloaked behind faceless websites,” said Rob. Coast Spas dealer Adrian Lee is another respected established showroom-based dealer who has been providing warnings to prospective hot tub and swim spa owners in the WhatSpa? and WhatSwimSpa? Net Danger initiative, along with promoting the pedigree range of hot tubs that are supplied with cast-iron warranties at his Outdoor Heaven showroom in Knutsford that is promoting the 2016 WhatSpa? Best Buy Award-winning status of the seven-seater Coast Spas Elite Cascade II, and eight-seater Coast Spas Luxury Mirage 82, as well as the WhatSwimSpa? Best Buy Award winning Coast Spas Wellness II Play, and Coast Spas Wellness Infinity. Adrian, who has a ‘best of both worlds’ eight-seater Coast Spas Elite Freedom hot tub and Coast Spas Wellness II Performance Plus swim spa installation project featured in the latest edition of WhatSwimSpa?, is a firm believer that consumer awareness needs to be raised about cheap and poorly manufactured hot tubs and swim spas being supplied to unsuspecting customers online. “We’ve been trading as a hot tub dealership for 11 years now and we’ve built up a large customer base because of the quality hot tub and swim spa models that we supply and high levels of customer service we provide,” said Adrian. “From now on we will be highlighting this case of Danz Spas going into liquidation to prospective customers as it certainly illustrates the risks of purchasing a hot tub or swim spa from an online site, rather than going down the showroom route. Doncaster-based Hydro Active Pools and Spas Director Andrew Price is a WhatSpa? Retailer Directory advertiser who is committed to counteracting the competition from poor quality online hot tubs by advocating the promotion of quality hot tubs as part of his growing status within Aqua Warehouse Group’s thriving Vita Spa dealer network in the UK, which is currently promoting the inaugural WhatSpa? Best Buy Award for the six-seater Cabaret and continued Best Buy status of the Prestige. Andrew also has a fledgling relationship as a dealer for the Superior Spas brand that is currently promoting its new six-person Fiji that has achieved 2016 WhatSpa? Best Buy Award-winning status, along with the five-seater Paradise, five-seater Bahamas, three-person Bliss and six-seater Dream models, which are manufactured in Europe by Wellis, to prospective consumers in the current edition of WhatSpa? magazine that has awarded a 2016 WhatSpa? Best Buy to the Hungary-based manufacturer’s seven-seater Wellis Elbrus Deluxe, while the Wellis Danube Power Swim Spa has achieved a WhatSwimSpa? Best Buy Award in the 2016 edition of the consumer magazine. “I would say that about 80 per cent of prospective customers who come through our doors will buy into the quality aspect of hot tub purchasing that we promote in our showroom,” said Andrew. “Thankfully we have a great relationship with Vita Spa distributor Aqua Warehouse Group and this helps us to promote the quality message to our prospective customers. Catalina Spas hot tub and swim spa dealer Jane Veysey is an award-winning ‘Retailer of Excellence’ who runs All Swim Limited in Wales, which has achieved an impressive hat-trick of BISHTA ‘Showroom of the Year’ Award accolades, and is also warning of the dangers of being attracted to an online purchase. Along with in-ground self-build swimming pool kits service, Jane and her husband Andrew promote respected pedigree manufacturers at their showroom in Carmathern as well as Cedartree gazebos; and quality Certikin International product lines. Jane admits that despite her status and best efforts to promote sensible hot tub and swim spa purchases some consumers still take the risk of trying to gain an online ‘bargain’. “As well as very cheap prices I think that consumers are being attracted by some of the false sales messages and claims about hot tubs and swim spas that are being sold online,” said Jane. “Some people are prepared to purchase a cheap swim spa online from just a picture, because it seems a simpler and easier route than having to visit a showroom. Artesian Spas Director Victoria Wrigglesworth, who has been spearheading the ‘when only the best will do…it has to be Artesian’ and ‘Looking for the perfect swim…? It can only be TidalFit by Artesian Spas’ marketing campaigns and the new Platinum Elite range promotion for the USA-manufactured brand, has experienced successive years of increased sales from the British and European dealer network. Yet the Doncaster-based distributor believes that having to counteract the threat of online competition from cheaper poor quality hot tub and swim spas will be a continuous problem for showroom retailers. “We’ve always found that there are certain prospective customers who think they can save themselves a lot of money by getting a bargain online and so don’t bother visiting a reputable hot tub dealership,” says Victoria. “As an industry we need to be more proactive in getting the message across that it is much safer and cost-effective in the long run to purchase a quality hot tub from a respected source. Victoria has also reported that the availability of finance for hot tubs and swim spas has been instrumental in securing sales for Artesian’s showroom-based retailers, who are currently promoting a successive WhatSpa? Best Buy Award for the six-seater Dove Canyon and the double Best Buy Award status for the South Seas range by the South Seas 518P and South Seas 748L DX models, along with WhatSwimSpa? Best Buy Awards for the TidalFit Active EP12 SE, and TidalFit Power Plus EP16, that would have been potentially lost to cheaper online sources in previous years. “Finance schemes have allowed our dealers to help customers to gain a quality manufactured product from a leading USA brand by spreading the cost of their purchase over a number of years,” revealed Victoria; “It has proved popular with purchases in all price brackets. Jacuzzi, which is celebrating its 60th anniversary of the invention of the world’s first whirlpool bath pump this year and has been bestowed with a trio of 2016 WhatSpa? Best Buy Awards for the J-245IP, J-335, and J-575, has been implementing major sponsorship initiatives to compliment its ‘Beware of imitations’, including its ‘The original player in luxury for over 60 years’ marketing strategy to help to promote its iconic brand and quality products, including the Aquafit System range that has been bestowed with a 2016 WhatSwimSpa? Best Buy Award for the Jacuzzi AFS 19 Pro, to prospective dealers and consumers. National Sales Manager Martyn Winstone, who has been providing support to help ensure record-breaking sales performances by the British network of Jacuzzi dealers, has revealed that this marketing policy has been paying dividends with increased new customer levels after turning to professional showroom dealers instead of seeking cheap online alternatives. “There is still a problem of cheap and poorly manufactured hot tubs in the market but our strategy is to play to our own strengths by promoting our pedigree brand and products to the trade and consumer audience,” said Martyn. “There are suppliers who try to promote imitations of quality brands but they should not making false claims about their hot tubs to try and achieve sales. Retailers should be truthfully quoting where their products are made and not trying to promote statements that are not true. Filed Under: Featured, News & views, Retailer interviews Tagged With: Danz Spas, hot tub retailers, WhatSpa?, WhatSwimSpa?